The Golden Circle is host to numerous social, and cultural clubs. See below for a list and descriptions of some of the clubs we offer. The local CAPS Camera Club meets regularly at the Golden Circle. We are for photographers of all skill levels from beginner to advanced. We offer photography courses, presentations on photography techniques, photography courses and photo competitions. Meetings are held on the second and fourth Wednesdays of the month for September to May. Come to a meeting as a guest and check us out! Please phone 403-748-3666 for further information, or visit our web site: http://www.centralalbertaphotographicsociety.com/current-newsletters.html. Bring your own project, or work on the project for beginners. The instructor, Charlene Wong, will be available to help, and give you ideas. This group is for machine quilters or hand quilters. If you are machine quilting, please bring your own machine. There will be an iron and ironing board available for you to use during the classes. Drop-in fee of $2.00 per person per class. Join the club and share ideas. Thursdays at 1:00pm. NOTE: No oil-based paints please, due to allergies. Golden Circle is a SCENT-FREE Facility. Socrates Cafe at the Golden Circle is a philosophical discussion group. Everyone is welcome! We will be studying the book “The View From Flyover Country” by Sarah Kendzoir, beginning in February 2018. 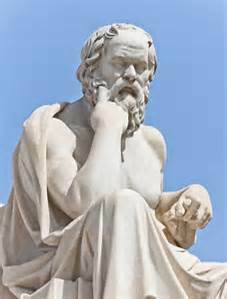 Our method is Socratic – like Socrates, we share our questions about what we are reading, and see where those questions take us. It’s all about the intellectual journey. We will meet on the 1st, 2nd, and 4th Friday of every month, from 1:30PM to 3:30PM.If you are interested in being part of this new program in 2018, please call Monica @ (403) – 343-6074 EXT 107, and put your name on the list. Your volunteer host for these sessions is W. Bruce Johnston, Ph.D. Bruce is a new resident of Red Deer, having just retired from 45 years of teaching and chairing the department of philosophy at the College of St. Rose, in Albany, New York.